The index opened flat but saw buying interest from the onset to close above 8800 at 8808.40, gain of 28.55 points. The broader market was positive with 856 advances to 755 declines. Range stays at 8600-9000. 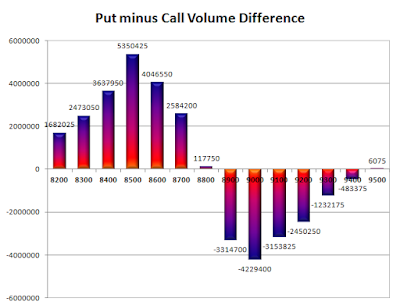 Call option 8900 added 1.78 lacs OI with short covering at 8700 and below strike price. Put option 8800-8700, 8500 added 12.69 lacs OI with profit booking at 8600 strike price. Nifty Open Interest is at 3,24,17,100 up by 2,88,975, with increase in price, probably long build-up. 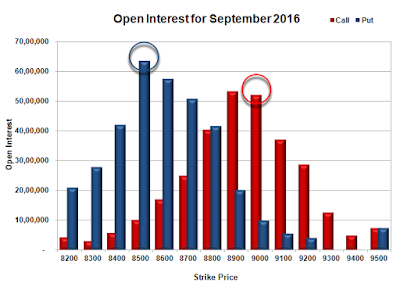 Bank Nifty Open Interest is at 21,81,440 down by 23,800, with increase in price, probably short covering. FII’s sold 6280 contracts of Index Futures, which includes net 461 contracts long build-up and 6741 contracts short build-up, with increase in net OI by 7202 contracts, includes 15401 longs to 21681 shorts for the day. FII’s Index future open contract as on date is 396877 Longs to 72902 Shorts, Net long 323975 contracts. 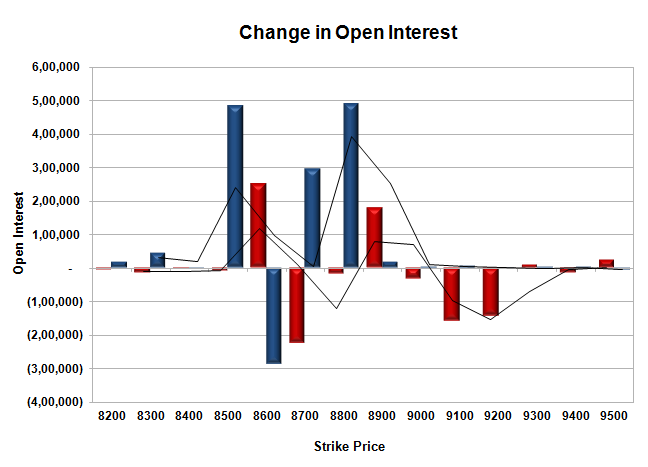 Initial support at 8800, with OI of 41.54 lacs and below that at 8700 with OI of 50.86 lacs. Initial resistance at 8900, with OI of 53.30 lacs and above that at 9000 with OI of 52.14 lacs. 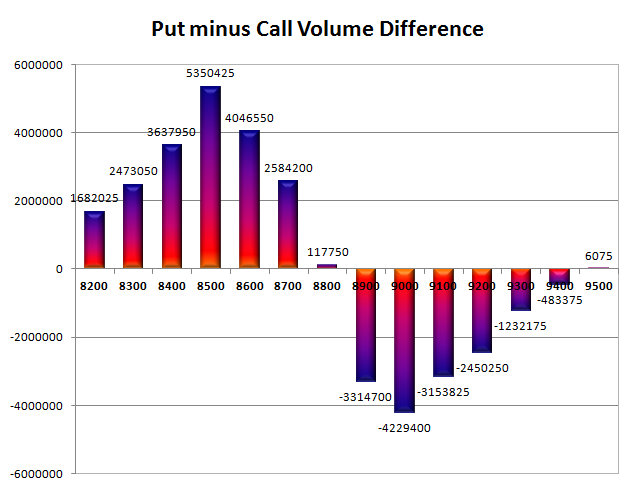 Day Range as per Option Table is 8744 - 8864 and as per VIX is 8740 - 8877 with 8802 as the Pivot.